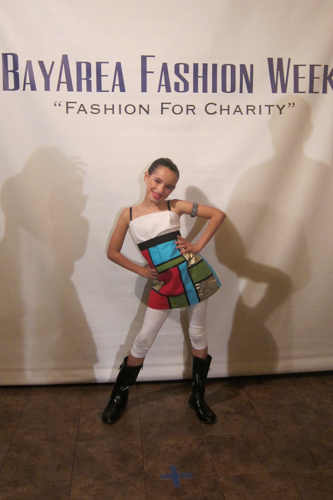 Lower school student Arianna Weaver, grade 5, recently showcased two dresses she created in the BayArea Fashion Week (BAFW) Presents Fashionable Kids & Teens show. Prior to the event, Weaver had been involved with DezignKidz, a Mountain View-based organization that has trained more than 1,000 local students how to design and create clothing and accessories. DezignKidz students like Weaver were the youngest designers showcasing their work at the BAFW show, held on Sept. 23 at the Sheraton Four Points in downtown San Jose. Proceeds from the evening benefited Revive, an organization that provides relief for the victims of Typhoon Haiyan.